Nick Mackenzie will join the board on May 1, succeeding Rooney Anand. He joins from Madame Tussauds owner Merlin Entertainments plc where, as a member of executive committee, he is responsible for the Midway portfolio of attractions. He became managing director of Resort Theme Parks in 2011 before moving across to lead the Midway business in 2015. He is also currently an independent non-executive director of Daniel Thwaites plc, a role he will relinquish before taking up his executive role at Greene King. Chairman Philip Yea said: “After a comprehensive search we feel that Nick’s broad experience and track record at one of the world’s leading leisure businesses as well as his knowledge of the pub business, both early in his career and more recently as a non-executive, make him the best candidate to lead Greene King through its next phase. 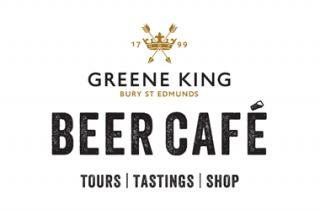 Mr Mackenzie said: “Greene King is a very strong business with a great portfolio of pubs and beer brands and a real commitment to its customers, staff and shareholders.